Today for lunch Treehouse Truck is at 954 S Orlando Ave, Winter Park, Fl(google map) at REMAX 200 selling one of the best rated burgers in town!! 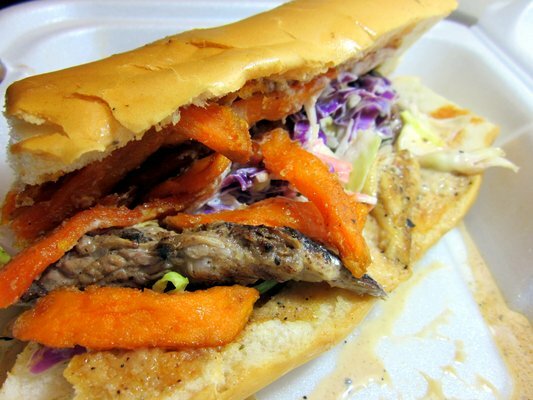 Treehouse Truck is brand new on the Food Truck Scene, it's only been out a couple weeks, but they are already making a huge impression. Last week I ate lunch Treehouse Truck when it was parked in the Discovery Church parking lot on South Orange just north of Holden. Delicious skirt steak and chicken sub with coleslaw and sweet potato sticks it's called the Chimoo sandwich. 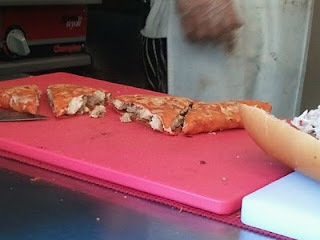 The chicken quesadilla with sun dried tomato tortilla was very good as well. I've been hearing that their burger is a masterpiece I have to try it on my next visit. 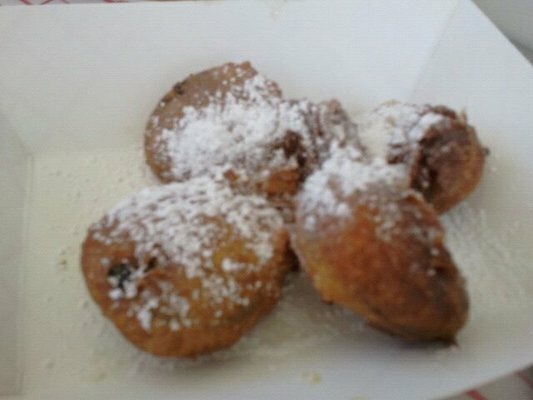 The fried oreos and twinkies were double yum. 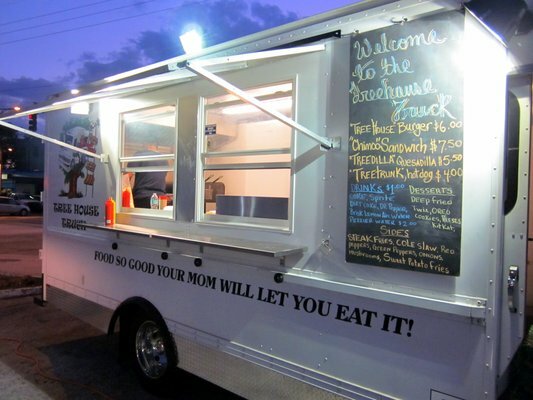 On weekends daytimes they are usually at colonial and ferncreek where Crooked Spoon is M-F and they are also at Firestone Live downtown most nights when there is a concert or event.